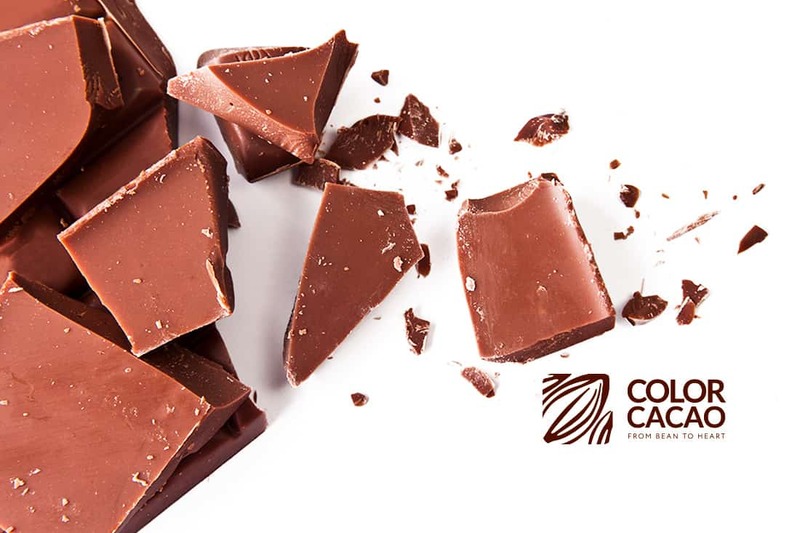 Color Cacao is born from the need of bringing to Colombia the latest tendencies in chocolatery, in flavor as in design. Our fabrication techniques are based on handcraft and start with the minutious selection of raw materials with the objective of selling a final product of excellent quality. We are an enterprise dedicated to elaborate chocolate products, such us chocolates filled and decorated, We are accomplices of your emotions: we combine the handcraft techniques of European Chocolatery with selected fine cacaos from Colombian farmers to offer unique experiences of flavor, aroma and texture. Why do they prefer us? We are accomplices of your emotions: we combine the handcraft techniques of European Chocolatery with selected fine cacaos from Colombian farmers to offer unique experiences of flavor, aroma and texture. The essence of Colombian cacao, transformed into the sweet experience of life. The gastronomic vocation of Ana Margarita Villegas has led her very far, despite her youth, she has a decree in Culinary Arts in the Paul Bocuse Institute of Lyon (France), Paul Bocuse is one of the most renowned chefs in the world, and vast experience. During the 5 years that she was outside Medellín, her hometown, she studied Gastronomic Business Administration and worked in several french restaurants, learning their rich culinary tradition. From all she saw, prepared and tasted, Ana Margarita didn’t doubt reinterpreting the knowledge she obtained in two important chocolateries of tradition: Bernachon and Voisin Chocolats, and she created Color Cacao, her own brand and conjugates that handcraft know how, with mixes of tropical flavors and innovative presentations. Our chocolatiers develop little batches hand crafted, where they conjugate the artisan technique and an insuperable mix of flavors to offer to our clients unique experiences of flavor. Color Cacao supports and strengthens associations of small producers of cacao from Colombia. Our objective lies in generating legal opportunities for the farmers that in a brave way replace their coca cultivations with cacao. With them we explore together the species of cacao that can generate better shades of arom and fñavor, and we strengthen the post harvest processes. 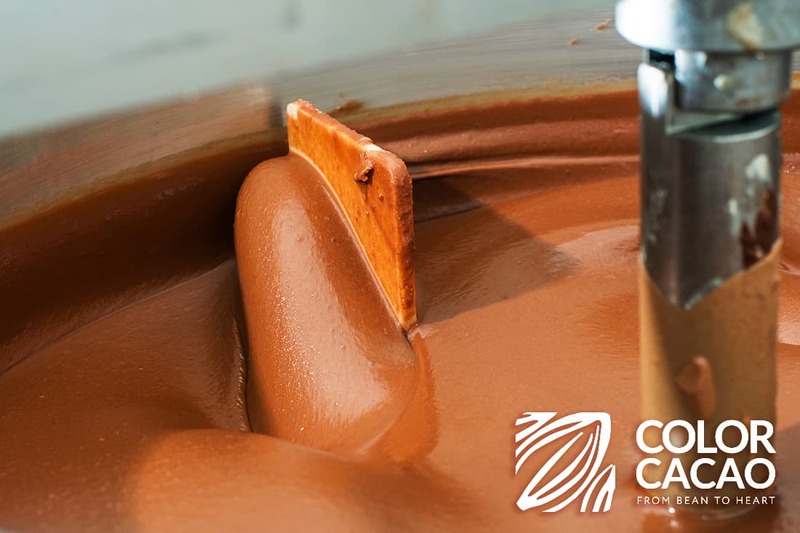 “Being able to transform” is the constant motivation for Color Cacao, changing the life of our dear ones, from the inside with our providers and employees to our clients. Transforming small life moments into sweet experiences is a real commitment with positive change, a look into modifying the environments of those who walk with us, contemplating a vision of enjoying life. Transparency is precisely that value that fundaments the construction of our culture. It is that value that makes everything that Color Cacao generates becomes real, from its base sustained in Colombian cacao, to the people and their ability to transform with passion what they do with their hands.